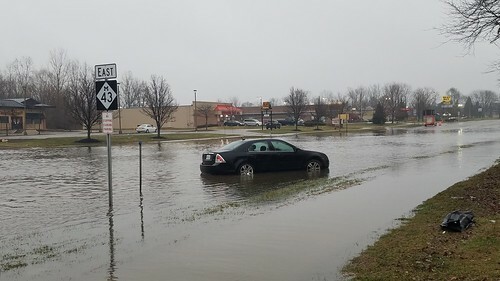 MERIDIAN TOWNSHIP - The standing water at the intersection of Okemos Road and Grand River Avenue is too deep to drive through, which is blocking many entrances to the businesses on Grand River Avenue. Discount Tire, McDonalds and Chic-fil-A are among the most affected by the road closure as they cannot be accessed from eastbound Grand River Avenue or Okemos Road. The dangerous standing water has caused detours for anyone traveling on these routes looking to get to one of the business in the affected area. Meridian Township Economic Development Director Chris Buck, spent some time this morning checking on the affected businesses on the Grand River Avenue and Okemos Road Corridor, and wants everyone to know that there is still a way to visit these businesses using another entrance. 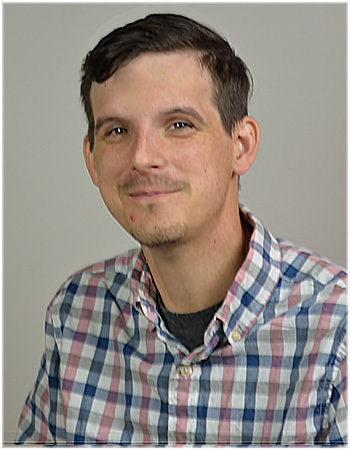 "I'm standing in front of Chic-fil-A on Okemos Road and Grand River Avenue that has been closed since yesterday, the Ingham County Road Department closed Okemos Road and MDOT closed Grand River Avenue yesterday. One of my concerns as the Economic Development Director of the Township is to insure that the businesses are being taken care of, and so what we're doing now is we are setting up some detour signs on eastbound Grand River and southbound Okemos Road, alerting the traffic that is trying to get to these businesses, that there is access through the Meijer parking lot. So we are setting up detour signs to let the public know from Heat 'n Sweep, to Leos Lodge, to Chic-fil-A to Belle Tire, that all these great businesses are accessible through the Meijer parking lot. And we want to let people know that they are ready and open for business." Businesses along the north side of Grand River are accessible from Marsh Road through the Meridian Mall parking lot. According to Meridian Township Police, roads are not expected to be re-opened until after Sunday.